Following a process that lasted less than six months, the Food and Drug Administration (FDA) have approved a blood test which could be used to diagnose concussion. The Banyan Brain Trauma Indicator is the first blood test designed to detect the signs of serious brain injuries, is intended to speed up the diagnosis of concussion and brain injury, without the need for a CT scan. Diagnosing a brain injury without a CT scan brings with it the double benefits of keeping medical costs low, while avoiding exposing the patients to radiation, unless absolutely necessary. There’s a lot of specialized knowledge behind the development of this blood test, as you may imagine, but here’s a simple explanation of what it does and what’s next in the process. With around 50,000 people dying from Traumatic Brain Injury (TBI), and 2.8 million cases treated across the United States in 2013 alone, it’s clear that this blood test could offer huge benefits. The US military have also been involved in the development of the test, it is also intended for use on injured service men and women. Traumatic brain injuries can also be caused by chemicals, tumors and stroke. Are You Living with the Effects of a Traumatic Brain Injury? 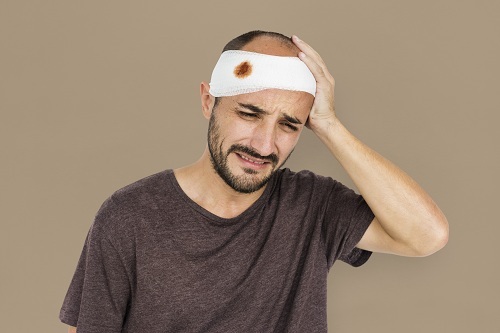 If you’re living with the effects of a traumatic brain injury sustained at work, whether that was through falling in your place of work, or being involved in a car accident while travelling for work, you may have a claim for workers compensation. Just one catastrophic incident on the job could leave you with life-changing injuries. An Los Angeles on the job injuries attorney could use aggressive and comprehensive techniques to get you the compensation you deserve. To schedule a free initial consultation, call the Law Offices of William Kropach on 818-609-7005. Are Spinal Cord Injuries Covered By Workers’ Compensation Claim?